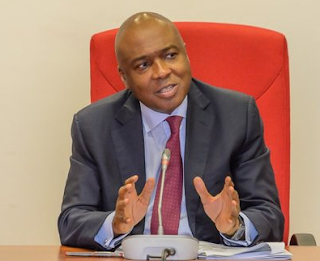 There was pandemonium in Ilorin on Tuesday when some hoodlums suspected to be political supporters of the Senate President, Dr.
Bukola Saraki, lunched attack on the All Progressives Congress, (APC) in Kwara State, Alhaji Abdulrahman Abdulrazaq. The incident occurred at the 53rd annual national conference of the Ilorin Emirate Descendant Progressive Union, (IEDPU) where the APC candidate was invited to lunch the 2019 almanac of the union. groups to be present at the event and paid them handsomely in order to humiliate the APC guber candidate. This, according to sources is to swiftly react to the slogan of "O' toge" making rounds in the state and also mislead members of the public ahead of the forthcoming general election. According to a source, "Saraki knows that his days are numbered in Ilorin and Kwara politics. There is no doubt that APC and Abdulrahman Addulrazaq is the choice of the people in the forthcoming poll. "They quickly heeded to the instruction and plans of their paymaster to disrupt the event and embarrass the APC candidate. slavery, enough of armed robbery attack, enough of corruption and enough of politics of deceit."